^ 18.0 18.1 18.2 Wade, Mark. Early Russian Ballistic Missiles. Encyclopedia Astronautix. [24 July 2010]. （原始内容存档于2006年10月16日）. ^ 29.0 29.1 29.2 29.3 29.4 Wade, Mark. Atlas. Encyclopedia Astronautix. [24 July 2010]. ^ Koman, Rita G. Man on the Moon: The U.S. Space Program as a Cold War Maneuver. OAH Magazine of History. 1994-01-01, 8 (2): 42–50. ^ Garber, Steve. Sputnik and The Dawn of the Space Age. Sputnik 50th Anniversary. 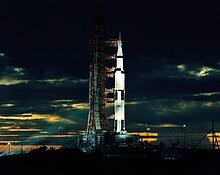 Washington: NASA History Website. 10 October 2007. ^ Nicogossian, Arnauld E. Space Biology and Medicine: Space and Its Exploration. Washington, DC. : American Institute of Aeronautics. 1993: 285. ^ Nicogossian, Arnauld E. Space and Biology: Space and Its Exploration. Washington, DC. : American Institute of Aeronautics and Astronautics Inc. 1993: 285. ^ Nicogossian, Arnauld E. Space Biology and Medicine: Space and Its Exploration. Washington, DC: American Institute of Aeronautics and Astronautics Inc. 1993: 285. ^ Angelo, Joseph, A. Encyclopedia of Space Astronomy. New York, NY: Facts on Files, Inc. 2006: 634. ^ Angelo, Joseph, A. Encyclopedia of Space Astronomy. New York, NY: Facts on Files, Inc. 2006: 225. ^ Bello, Francis. The Early Space Age. Fortune. 1959 [5 June 2012]. ^ Государственная Дума. Федеральный закон №32-ФЗ от 13 марта 1995 г. «О днях воинской славы и памятных датах России», в ред. Федерального закона №59-ФЗ от 10 апреля 2009 г «О внесении изменения в статью 1.1 федерального закона "О днях воинской славы и памятных датах России"». Вступил в силу со дня официального опубликования. Опубликован: "Российская Газета", №52, 15 марта 1995 г. (State Duma. Federal Law #32-FZ of March 13, 1995 On the Days of Military Glory and the Commemorative Dates in Russia, as amended by the Federal Law #59-FZ of April 10, 2009 On Amending Article 1.1 of the Federal Law "On the Days of Military Glory and the Commemorative Dates in Russia". Effective as of the day of the official publication). ^ UN Resolution A/RES/65/271, The International Day of Human Space Flight (12 April). 2011-04-07 [2015-01-19]. ^ Душенко, Константин. Большой словарь цитат и крылатых выражений. Litres. 2014. ISBN 978-5-699-40115-4 （俄语）. ^ As World Watched. Spaceman Hailed After U.S. Triumph, 1961/05/08 (1961) (Motion picture). Universal-International Newsreel. 1961 [February 20, 2012]. OCLC 709678549. ^ Kennedy, John F. Special Message to Congress on Urgent National Needs (Motion picture (excerpt)). Boston, MA: John F. Kennedy Presidential Library and Museum. May 25, 1961 [August 1, 2013]. Accession Number: TNC:200; Digital Identifier: TNC-200-2. ^ 75.0 75.1 Kennedy, John F. Address at Rice University on the Nation's Space Effort. Historical Resources. John F. Kennedy Presidential Library and Museum. 1962-09-12 [16 August 2010]. ^ Special. Space Troika on Target. The Toronto Star (Toronto: Torstar). UPI. 13 October 1964: 1. ^ Gayn, Mark. Kremlin summit probably greased skids for Mr. K. The Toronto Star (Toronto: Torstar). 16 October 1964: 11. ^ 94.0 94.1 Tanner, Henry. Russian Floats in Space for 10 Minutes; Leaves Orbiting Craft With a Lifeline; Moscow Says Moon Trip Is 'Target Now'. The New York Times (New York). 19 March 1965: 1. 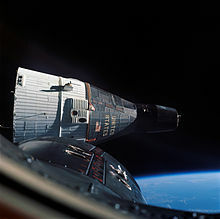 ^ THE WORLD'S FIRST SPACE RENDEZVOUS. Apollo to the Moon; To Reach the Moon – Early Human Spaceflight. Smithsonian National Air and Space Museum. [17 September 2007]. （原始内容存档于2007年11月16日）. ^ inesap.org 互联网档案馆的存檔，存档日期2008-03-18. Peaceful Uses of Outer Space and International Law. ^ United Nations Committee on the Peaceful Uses of Outer Space. United Nations Office for Outer Space Affairs. ^ 105.0 105.1 105.2 Seamans, Robert C., Jr. Findings, Determinations And Recommendations. Report of Apollo 204 Review Board. NASA History Office. 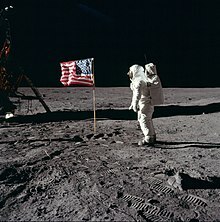 5 April 1967 [7 October 2007]. 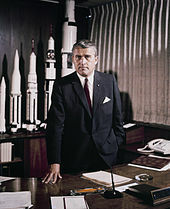 ^ Williams, David R. Tentatively Identified Missions and Launch Failures. NASA NSSDC. 6 January 2005 [30 July 2010]. ^ Brooks, Courtney G.; Grimwood, James M.; Swenson, Loyd S., Jr. Apollo 10: The Dress Rehearsal. Chariots for Apollo: A History of Manned Lunar Spacecraft. NASA History Series. Foreword by Samuel C. Phillips. Washington, D.C.: Scientific and Technical Information Branch, NASA. 1979 [January 29, 2008]. ISBN 978-0-486-46756-6. LCCN 79001042. OCLC 4664449. NASA SP-4205. ^ Jones, Eric M. Apollo 11 Press Kit (PDF). Apollo Lunar Surface Journal: 33. 1 January 2010 [15 August 2010]. ^ Paterson, Chris. Space Program and television. The Museum of Broadcast Communications. 2010 [11 August 2010]. （原始内容存档于2010-12-04）. ^ Jones, Eric M. Apollo 11 Lunar Surface Journal. Apollo Lunar Surface Journal: MET 109:43:16. 1 January 2010 [15 August 2010]. Bilstein, Roger E. Stages to Saturn: A Technological History of the Apollo/Saturn Launch Vehicles. Washington: Scientific and Technical Information Branch, National Aeronautics and Space Administration,. 1996. ISBN 0-16-048909-1. Brugess, Colin; Kate Doolan; Bert Vis. 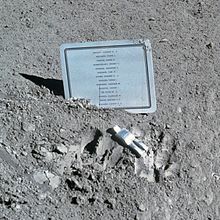 Fallen Astronauts: Heroes Who Died Reaching for the Moon. Lincoln: University of Nebraska Press. 2003. ISBN 0-8032-6212-4. Brzezinski, Matthew. Red Moon Rising: Sputnik and the Hidden Rivalries that Ingnited the Space Race. New York: Times Books, Henry Holt and Company. 2007. ISBN 978-0-8050-8147-3. Burrows, William E. This New Ocean: The Story of the First Space Age. New York: Random House. 1998. ISBN 978-0-679-44521-0. ASIN 0679445218. Cadbury, Deborah. Space Race: The Epic Battle Between America and the Soviet Union for Dominance of Space. New York: Harper Collins Publishers. 2006. ISBN 978-0-06-084553-7. Chaikin, Andrew. 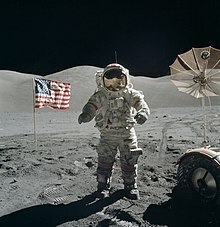 A Man on the Moon: The Triumphant Story of the Apollo Space Program. New York: Penguin Books. 1994. ISBN 0140272011. Cornwell, John. Hitler's Scientists: Science, War, and the Devil's Pact. New York: Viking Press. 2003. ISBN 0-670-03075-9. Dallek, Robert. An Unfinished Life: John F. Kennedy, 1917–1963. Boston: Little, Brown and Company. 2003. ISBN 0-316-17238-3. Gainor, Chris. Arrows to the Moon: Avro's Engineers and the Space Race. Burlington, Ontario: Apogee Books. 2001. ISBN 1-896522-83-1. （原始内容存档于2008-07-23）. Gatland, Kenneth. Manned Spacecraft, Second Revision. New York, NY, USA: MacMillan Publishing Co., Inc. 1976: 100–101. ISBN 0-02-542820-9. Hall, Rex; David J. Shayler. The Rocket Men: Vostok & Voskhod, The First Soviet Manned Spaceflights. New York: Springer–Praxis Books. 2001. ISBN 1-85233-391-X. Hall, Rex; David J. Shayler. 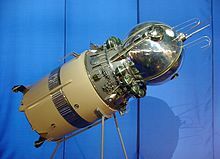 Soyuz: A Universal Spacecraft. New York: Springer–Praxis Books. 2003. ISBN 1-85233-657-9. Hardesty, Von; Gene Eisman. Epic Rivalry: The Inside Story of the Soviet and American Space Race. Foreword by Sergei Khrushchev. Washington: National Geographic Society. 2007. ISBN 978-1-4262-0119-6. 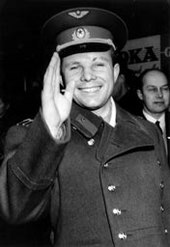 Harford, James J. Korolev: How One Man Masterminded the Soviet Drive to Beat America to the Moon 1. New York: John Wiley & Sons. 1997. ISBN 0-471-14853-9. Hepplewhite, T.A. The Space Shuttle Decision: NASA's Search for a Reusable Space Vehicle. Washington, DC: NASA. 1999. Jones, Eric M. Apollo 11 Lunar Surface Journal. Apollo Lunar Surface Journal. Internet. 1 January 2010 [15 August 2010]. Kraft, Chris; James Schefter. Flight: My Life in Mission Control. New York: Dutton. 2001. ISBN 0-525-94571-7. Murray, Charles; Catherine Bly Cox. Apollo: The Race to the Moon. New York: Touchstone (Simon & Schuster). 1990. ISBN 0-671-70625-X. The link is to the 2004 edition, pages differ, but content the same. Parry, Dan. Moonshot: The Inside Story of Mankind's Greatest Adventure. Chatham, United Kingdom: Ebury Press. 2009. ISBN 978-0-09-192837-7. Polmar, Norman; Timothy M. Laur. Strategic Air Command: People, Aircraft, and Missiles 2. Baltimore: Nautical and Publishing Company of America. 1990. ISBN 0-933852-77-0. Poole, Robert. 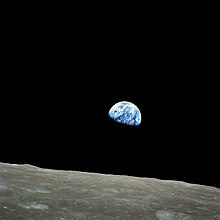 Earthrise: How Man First Saw the Earth. New Haven, Connecticut: Yale University. 2008. ISBN 978-0-300-13766-8. Schefter, James. The Race: The uncensored story of how America beat Russia to the Moon. New York: Doubleday. 1999. ISBN 0-385-49253-7. Schmitz, David F. Cold War (1945–91): Causes. (编) Whiteclay Chambers, John. The Oxford Companion to American Military History. Oxford University Press. 1999. ISBN 0-19-507198-0. Seamans, Robert C., Jr. Findings, Determinations And Recommendations. Report of Apollo 204 Review Board. NASA History Office. 1967-04-05 [7 October 2007]. Siddiqi, Asif A. Sputnik and the Soviet Space Challenge. Gainesville: University Press of Florida. 2003a. ISBN 0-8130-2627-X. Siddiqi, Asif A. 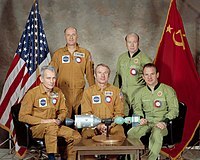 The Soviet Space Race with Apollo. Gainesville: University Press of Florida. 2003b. ISBN 0-8130-2628-8. Stocker, Jeremy. Britain and Ballistic Missile Defence, 1942–2002. London: Frank Case. 2004: 12–24. ISBN 0-7146-5696-8. Turnhill, Reginald. The Moonlandings: An Eyewitness Account. New York: Cambridge University Press. 2004. ISBN 0-521-81595-9. Первушин, Антон. 108 минут, изменившие мир. Эксмо. 2011. ISBN 978-5-699-48001-2.